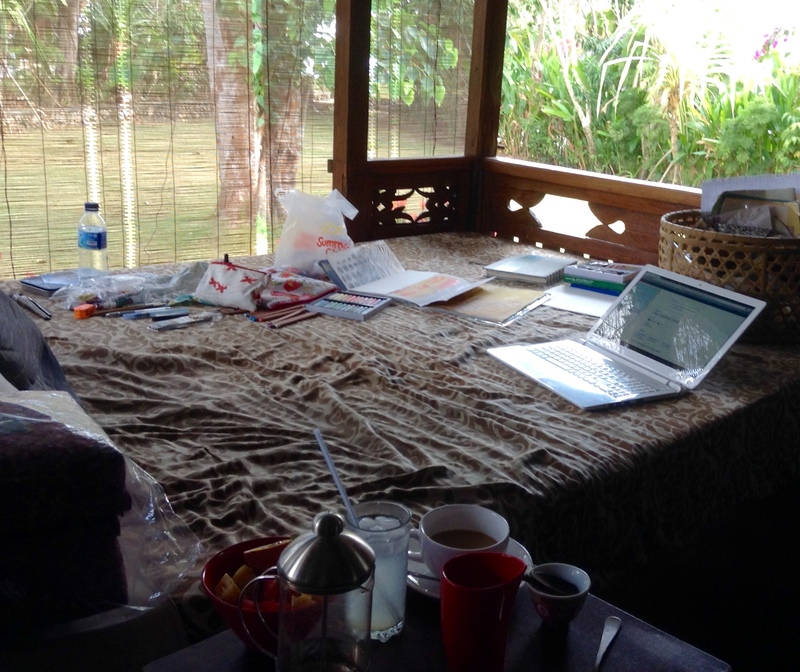 I have been working hard this weekend to finish up a lot of the pictures that I started in my Bali Journal. I know that once I move onto other things I will never go back and complete them. So here you are, be ready for lots in this post. Just to get you back into the mood here are a few pictures of where I was working. The Barking Gecko and the Frog, where both visitors to my little villa, the gecko I only heard and he was extremely loud. I thought geckos were small but these were a medium sized lizards and did in fact bark a bit like a dog. The frog was a visitor to my open bathroom, but he didn’t like sharing and would quickly move on, which suited both of us. 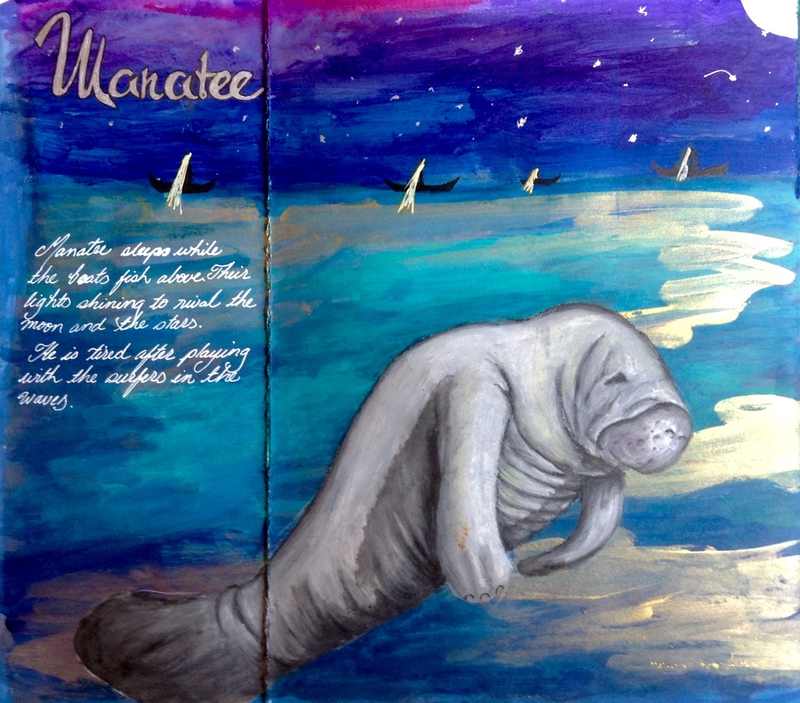 The Manatee picture is a favourite, it combined a number of memorable images. Manatees would swim out with the surfers and Angus, the husband of Jane who ran the course, would go out surfing and tell us of the manatees he would meet. Also every evening the local fishing boats would stream out of the port and go past our cliff top perch, then at dusk they would light their lights and fish just off shore. It was like another city of twinkling lights out in the ocean. 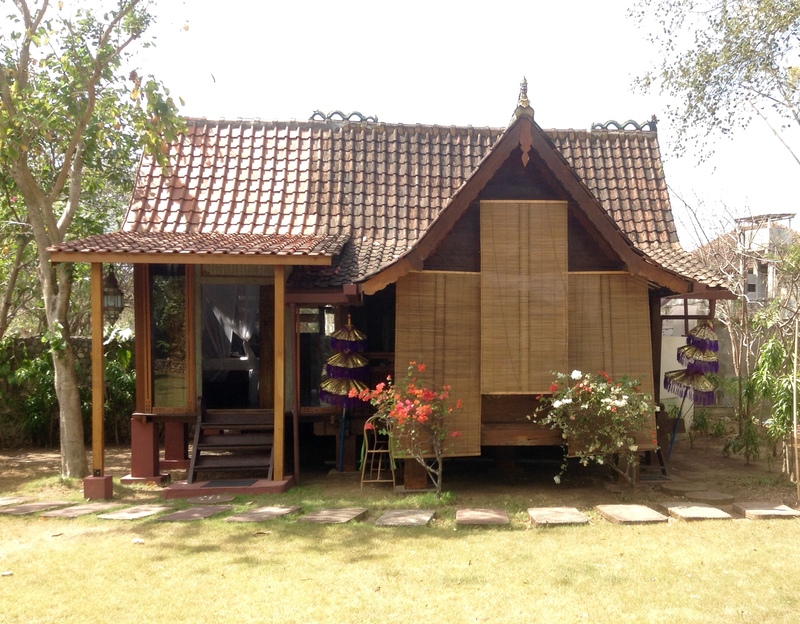 The dragon flys would zoom past as we were working in the garden, or would come and visit me in the villa. 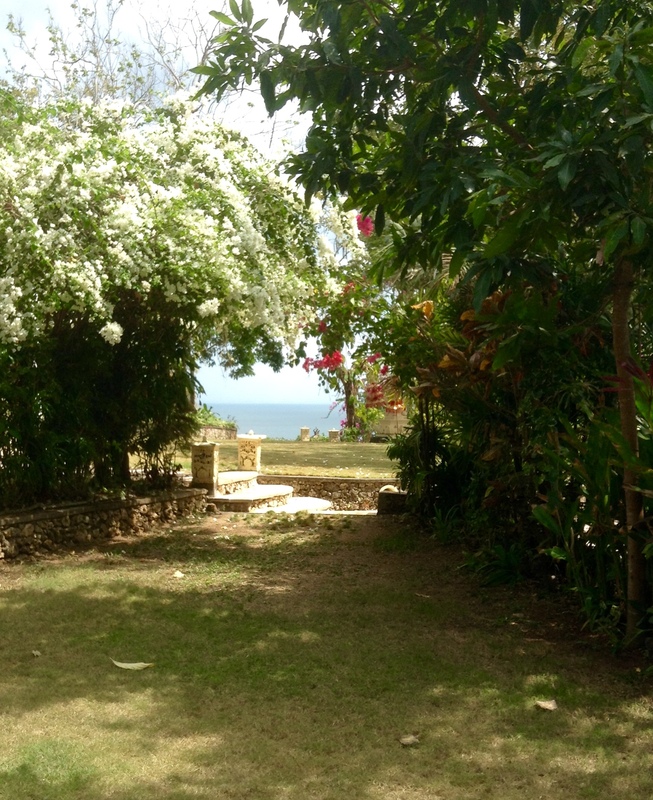 This one is resting just by the hut by the pool looking over the cliff to the sea. 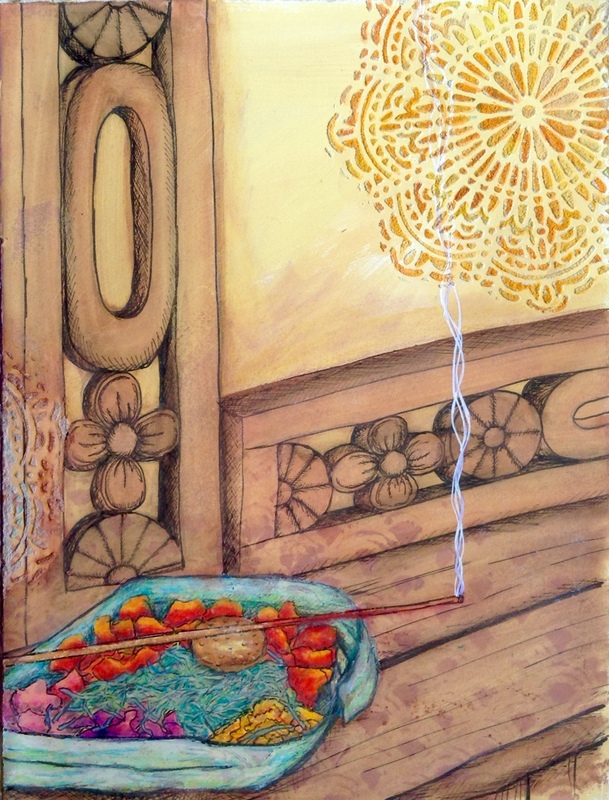 The next two are a double page spread and they are the offerings that would appear each day in my villa. The Dupa is the Balinese offerings to the gods which are seen everywhere in Bali and help to bring good luck to the occupant and ward against evil. The other was the little flower arrangements that the staff would do each day for me. Such a lovely tradition. I still have a few more pages to finish and I will be adding some of the photos to the spare pages and I hope to have another lovely keepsake of my trip. 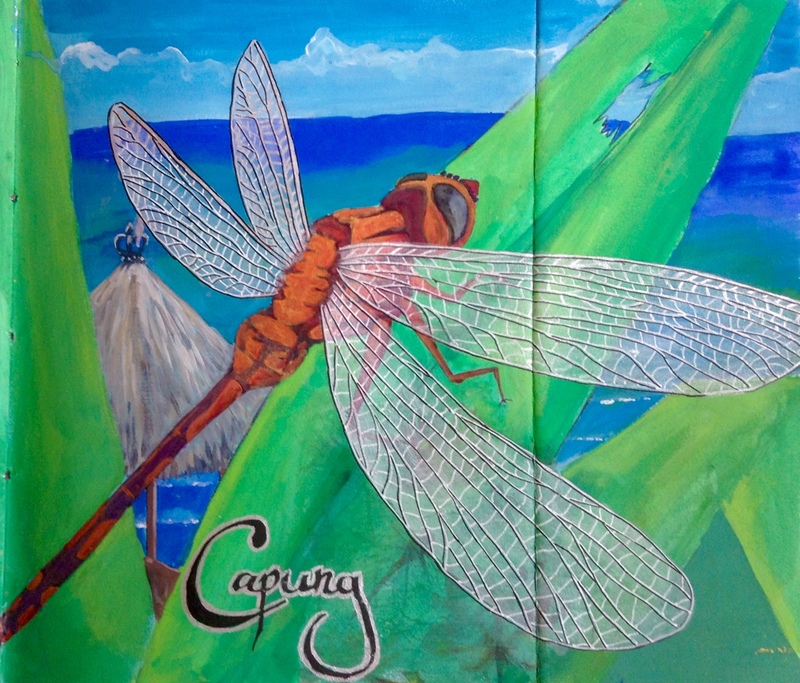 This entry was posted in 2014 Artwork, Journal, What inspires me and tagged art, Bali, Bali Escape Artisits, Balinese offering, Dragonfly, drawing, drawings, Jane Davenport, journal, Manatee, mixed media, sketchbook, sketches, sketching, travel, travel journal, watercolour. Bookmark the permalink. 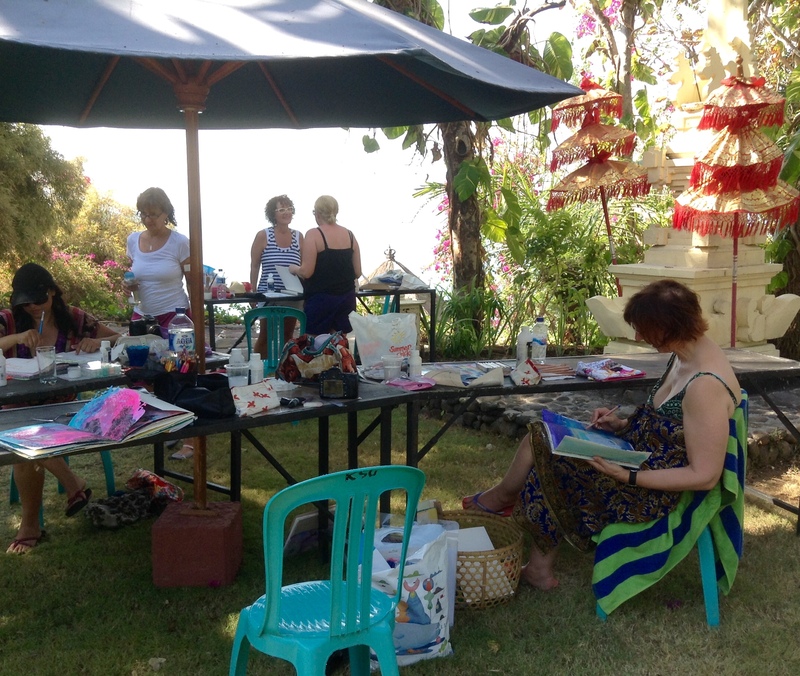 What a beautiful place to create art, so much colour and inspiration. I love these new works of yours. 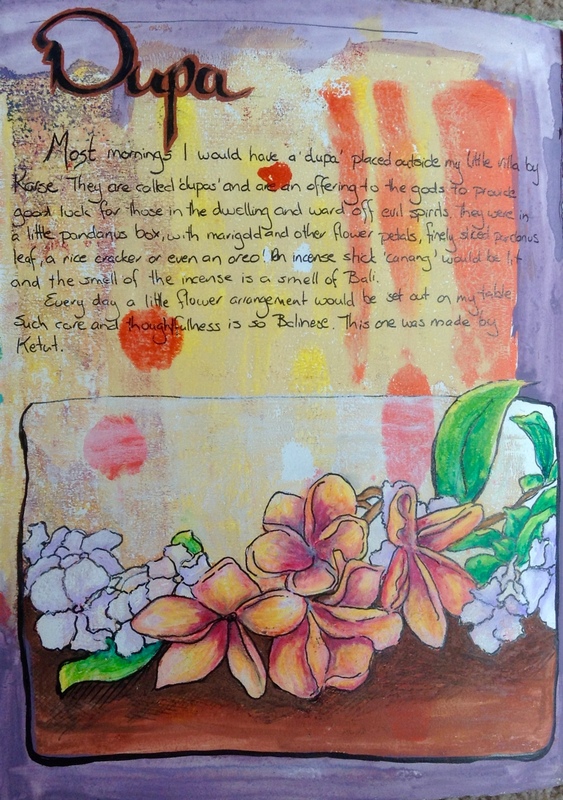 It looks as though you had a very productive time in Bali Karen – these pages look beautiful, I especially like the ‘offerings’ page. Having a random background must be quite freeing I think. I used to have a painting teacher who always put random pasted paper or sweeps of colour on the pages of her travel sketchbooks and it gave a wonderful sense of completeness to even a quick, simple sketch. 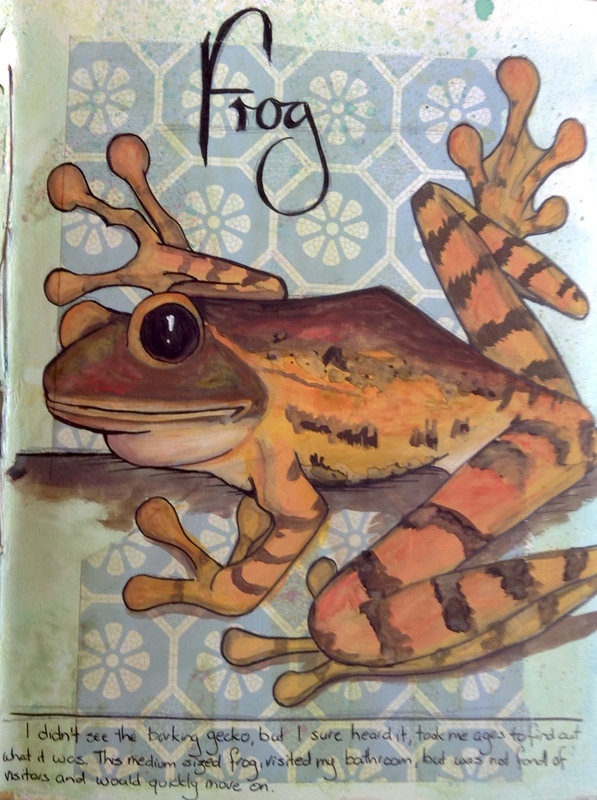 You must be very happy with your sketchbook! I really enjoyed stretching out and trying new things, I found preparing the backgrounds daunting, but a lot of fun to work on, will be trying some more of them in the future. The offerings is one of my favourites too. Beautiful and lush drawings, what an incredible time you must have had. What better way to preserve your memories; through your drawings. Lovely pictures – really captured the feeling of the place. 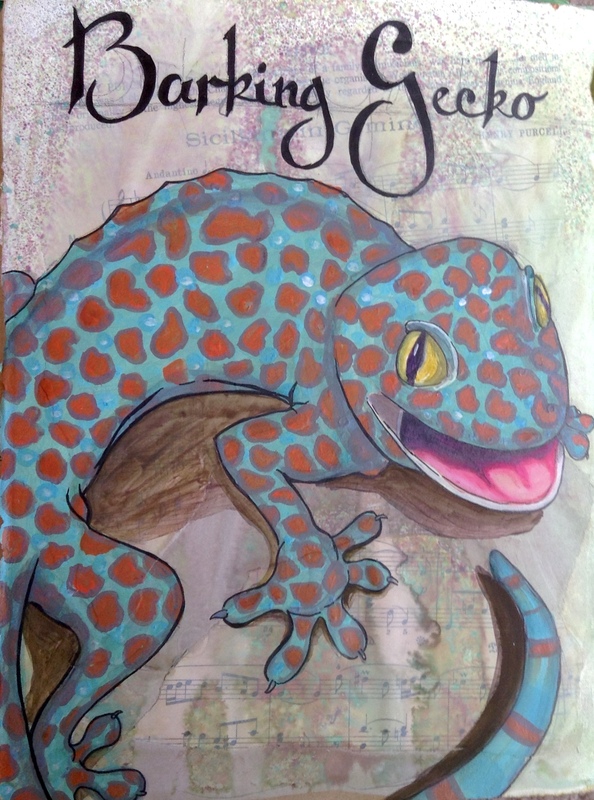 I used to have a lot of lovely geckos living in my house in The Philippines. I never heard them bark, even the big ones, obviously a different type! love the frog! He’s great!